3 × = twelve Required Please enter the correct value. By investing just a small amount of money, investors could rake in $68,870 a year or more with what many are calling "26(f) programs." These 26(f) programs let investors own shares of the safest and most stable stocks on the market. Even better, some let you get in on the ground level of some of the hottest companies before they go public. In other words, they're an excellent tool for building your wealth. One of the best things about them is how you don't have to wait decades for your potential payout like a traditional or Roth 401(k). With a 26(f) program, you can collect monthly income along with generous lump-sum payouts. But time is of the essence with 26(f) programs. That's because the U.S. government is about to pass a measure that will charge you big fees when you receive your money. You need to act now before Uncle Sam hamstrings your potential $68,870 a year in profit. On April 10, 2017, the U.S. Department of Labor will introduce a measure forcing brokers to work in the absolute best interest of their clients. That will cause what's being referred to as a "retirement blackout." You see, brokers are currently permitted to have limited discussions with their clients about their money. This causes them to be paid less because they're technically working less with their clients about their investments and other finances. 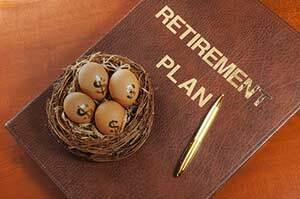 If your retirement manager is someone you trust, this wouldn't be an issue before April 10. That's because you wouldn't need to consult them as much. Therefore, they wouldn't charge you more money for their time. But the Department of Labor's new measure on April 10 will most likely make brokers charge you more for that limited service you're receiving. These charges could be issued as "wrap fees," which make clients pay a percentage of their assets to their brokers. Brokerages may also enforce "uniform pricing" for certain investments. For example, the cost of investments like real estate investment trusts (REITs) could be hiked by the broker. But there's no need to worry. We still have time to "enroll" in these 26(f) programs before the government passes this measure. Luckily, Money Morning Chief Investment Strategist Keith Fitz-Gerald is an expert at using investment programs like this. In fact, Fitz-Gerald – a seasoned trader and analyst with more than 30 years of market experience – recently devised a strategy to help you before the government's "retirement blackout" on April 10. In his newest presentation, you'll find out more about how 26(f) programs work – and how you can use them to create your wealth. Follow Money Morning on Twitter and like us on Facebook.